My three aunts have invited me to an Autumn Moon Festival. Wanda, Melinda and Cassandra let me know that I can bring as many guests as I'd like. How generous of them. It's so sad that most people I know (including family) avoid them. One family member whispered to me that they're real witches. I think they just get into the Halloween spirit. No harm in that right? They have always been really polite to me so I think I'll go. Their house has been spruced up for the festivities. Six giant pumpkins decorate the front. Lovely pumpkin topiaries decorate their garden. Wanda, the eldest of my aunts, wanted me to share that we can go anywhere we want except the forest just beyond this trellis. Let's heed her warning. The forest is very dark and seems quite spooky. ...and others are really shy but not to worry -- just enjoy the treats that she and her sisters have baked for us. I definitely going to have a caramel apple and a slice of this Monster of a Cake. There are pumpkin cookies and a chocolate raspberry cake that is just boo-tiful. I think I'll get some pumpkin white hot chocolate to go with my desserts. 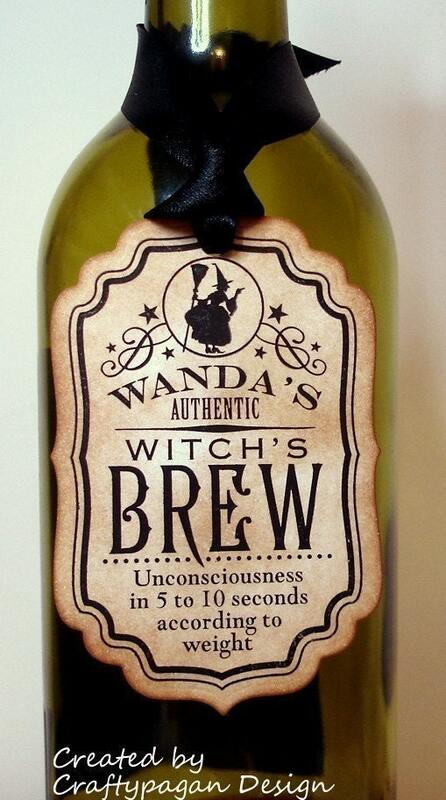 Later on I'd like to sample the apple cider or if I'm feeling brave some of Wanda's famous brew. What would you like to have? Yikes. I forgot Wanda mentioned there are other guests. Can you see him? Wanda says not to mind Fred. He's a little bashful but don't be frightened of him. He's certainly friendlier than the wailing banshee in the shed. You can't pay me enough to go near there. Do you see the collection of skulls and bones decorating the entrance? Did I hear you say that you wanted a closer look at the banshee? You can get a closer look. Don't say I didn't tell you so. 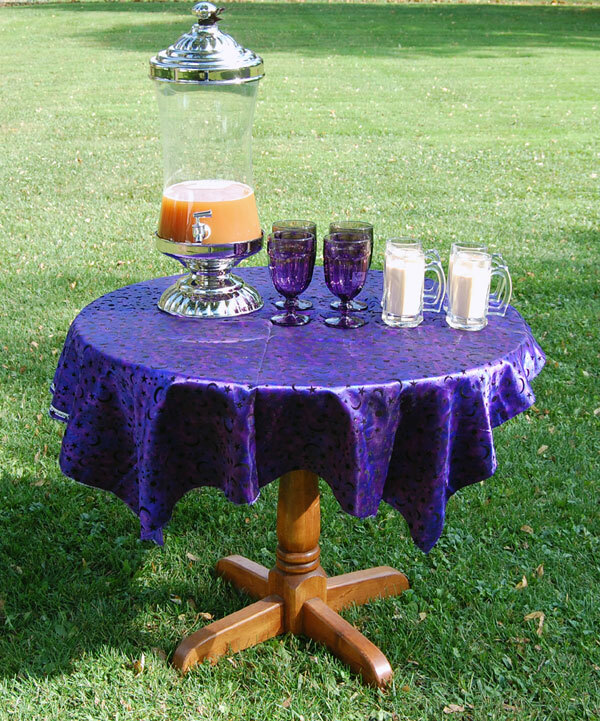 Before it gets too dark, let's thank our gracious hosts and be on our way. My aunts have magical party favors for us to take. 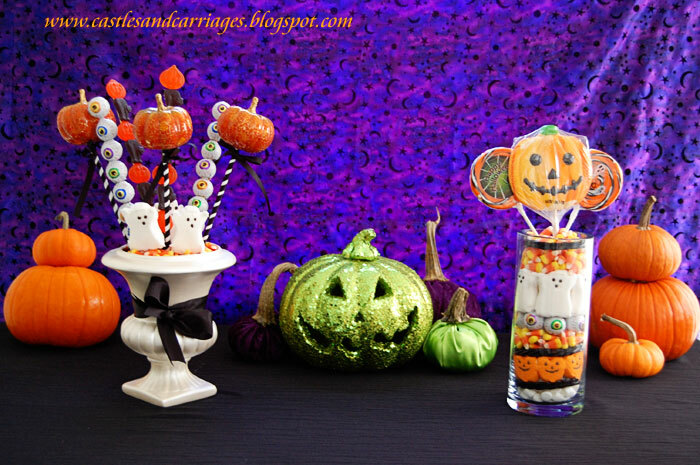 Pumpkin wands, candy eyeball and gummy skewers, lollipops, satin or velvet pumpkins. I think I'll have one of each! what a lovely party!!! i love your cake and all those pumpkins! I hope that you have a chance to visit my pumpkin carving party! 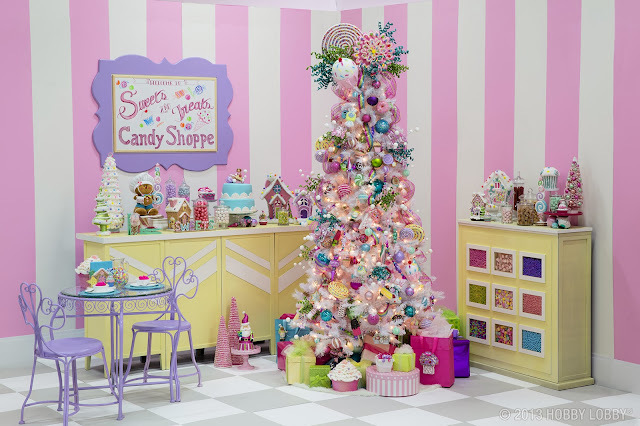 Delightful and such wonderful decorations!! Oh, those pumpkins! Never have I seen such happily displayed pumpkins. What a wonderful feast your aunts have prepared. I'll be sure to follow the rules and not go into the forest! Oh my, what very large pumpkins you (your aunts) have! A delightful party setting! Fantastic job on the cake!! 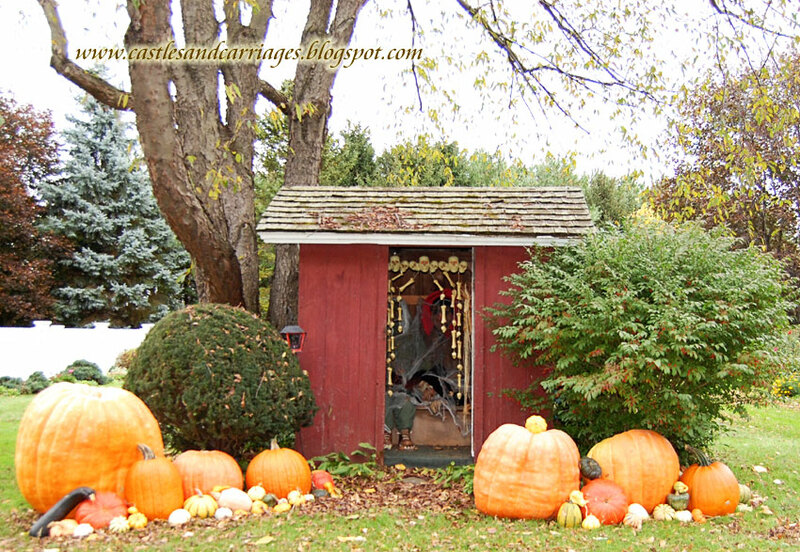 Oh what a darling post and I love all your pumpkins!! Oh your house too!! It looks ever so intriguing. I always wonder what tales walls would tell if only they could. I'm sure yours would have plenty to whisper about ;-). You did amazing!!! I love it! Oh WOW! I LOVE your giant pumpkins - do you grow them yourself? 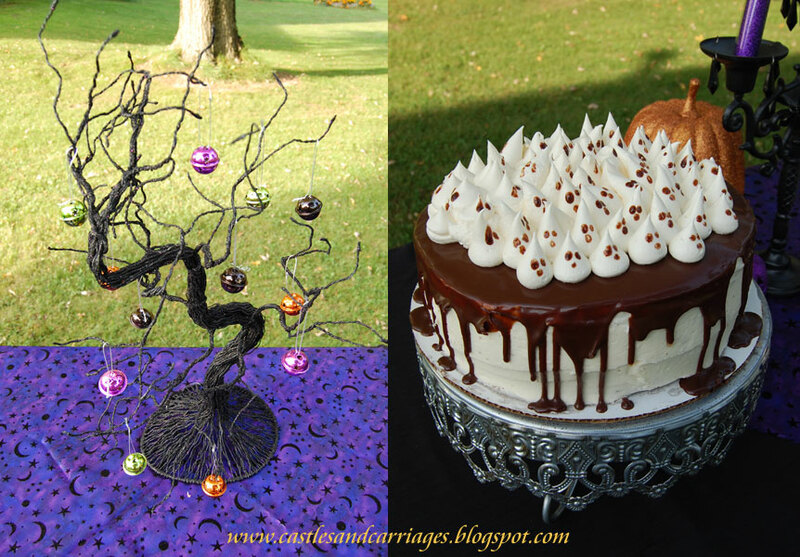 I helped myself to some monster cake and took a peek at the Banshee (shiver!). Your aunts are very gracious hostesses! Enjoy the rest of the party! Blessings! What a wonderful party. Thanks so much for bringing us to your aunts! They sure know how to throw a party!!! 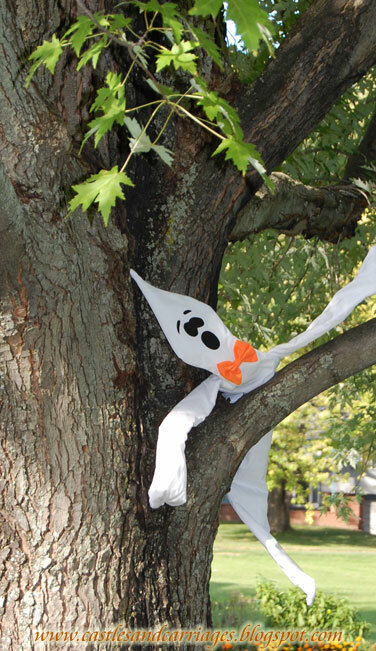 Take care and have a lovely Halloween! Wow!~! LOVE those pumpkins. Nice party thanks for having me! Stop by and visit me if you'd like. I'm having a give away. HOO! That banshee spooked me! 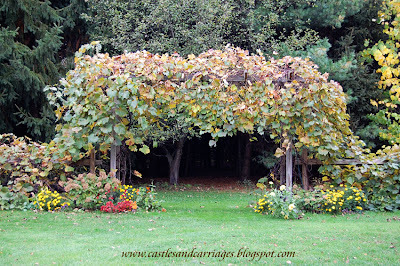 What really is in the woods behind the trellis...? Hehe, it looks really creepy! I love your party, the pumpkin topiaries are SO whimsical it is divine! Love the party, such wonderful goodies! 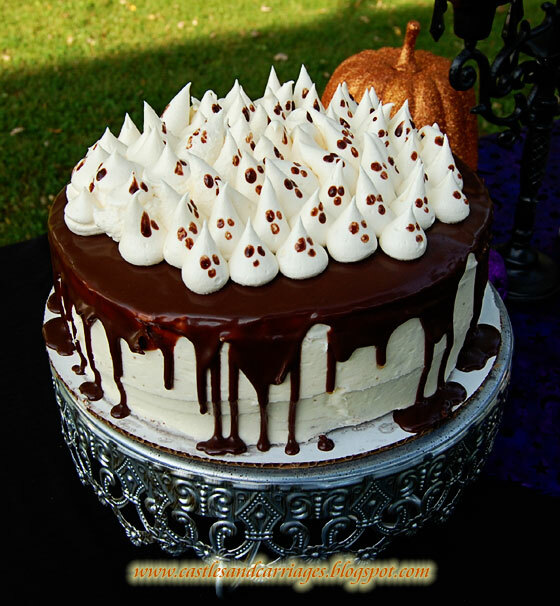 The ghost cake is so adorable!! lovely party! in love with the banshee and those massive pumpkins!! Thank you for a really lovely party! Your photos were beautiful - I loved all those pumpkins! What a festive party. Happy Halloween! My Gosh!! 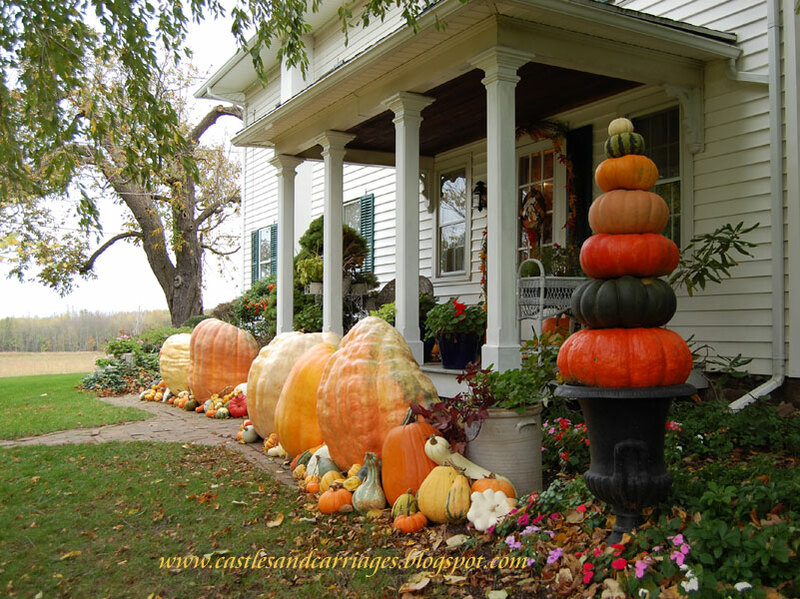 All those pumpkins piled high makes me smile so wide!!! That banshee sure is a scary one...but I'll stay for the pary anyways...those treats are to die for!! What yummy Halloween treats :-). Ohhh, this is one of the best parties I've been to so far!! Who can compete with those CAKES?!! You are amazingly talented and creative...what an absolute pleasure to find your blog! I'm going to enjoy hanging around here. 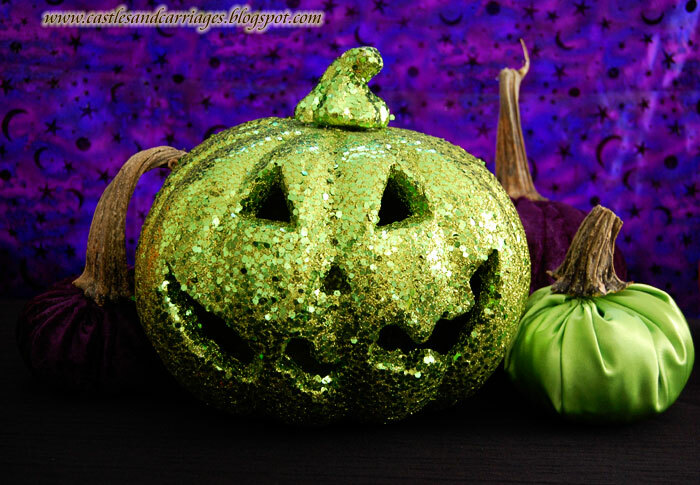 Thank you for sharing and have a wickedly wonderful Halloween! 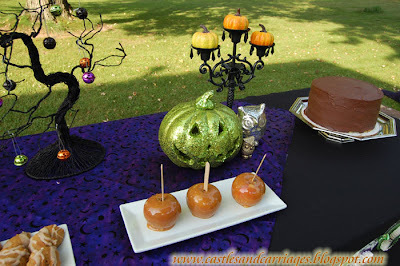 The treats were beyond delicious ;) And, the farm, a total hit! OH MY GOOOODNESS! Pumpkin heaven me thinks! Love your apple cider dispenser and your cakelove! Thank you so much for hosting a magical halloween visit! What a lovely party! Please tell the aunts, thank you so much for having me over. I do hope you will come over and bring the aunts with you too! You are a most gracious host, and I will take my leave as to not spread too many germs. Wowzers! What a fabulous party! 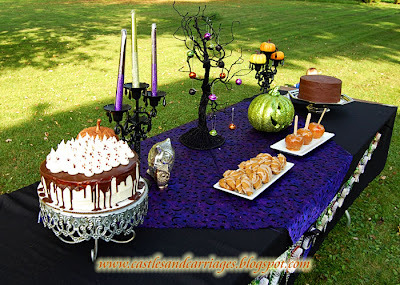 And I just love the dessert table. Thanks for inviting me! That is the best display of pumpkins I have ever seen! Amazing-those giant ones! I enjoyed your party thank you! Everything looks so lovely and festive! 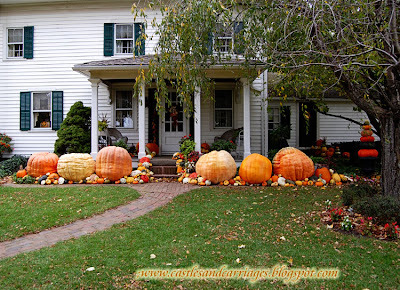 I love all those pumpkins!! Thank your aunts Wanda, Melinda and Cassandra for the wonderful party. 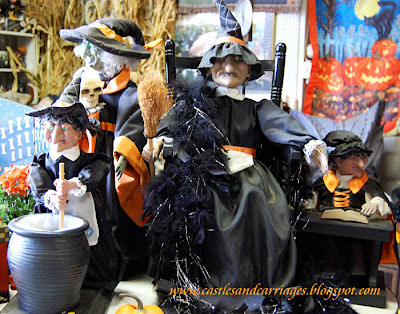 I’m stuffed from all the goodies and a bit tipsy from the Witch’s Brew and I only had a sip! By the way, I think I startled Fred. I hope he’s still my friend. And I’ll be sure to heed the warning about staying away from the Forest, but secretly, a part of me wants to go in there and explore. Did you know that the Wailing Banshee can sing better than me? Not that I can sing of course, but who would’ve thought that she could croon like that? I’m impressed. WOW, look at your pumpkins. amazing !!! wow! 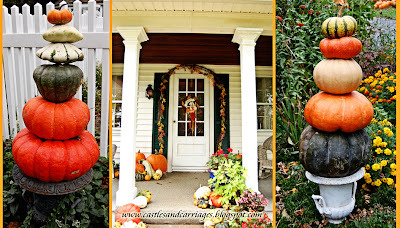 Love those pumpkins they are huge! Well decked out! and love the wee poem at the top! Happy Halloween and thx! Please do join us too.. 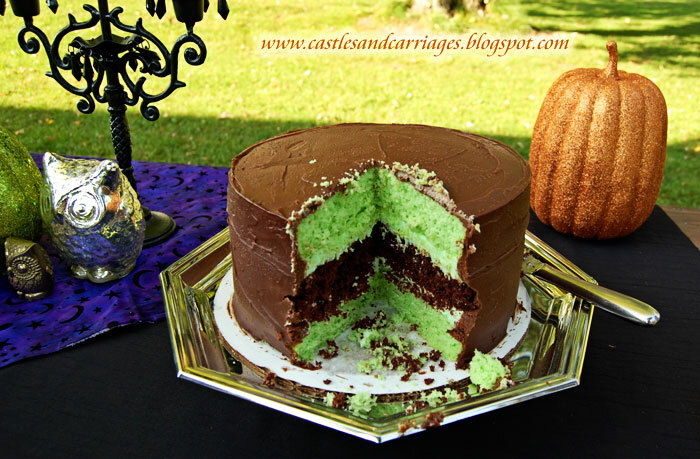 I'd LOVE a monster size piece of the Monster Chocolate cake! lol~ Wow, your post was wonderful, great photos and imagination. Your home is gorgeous! Love how you have decorated the front. The giant pumpkins are So festive~ I had a lovely time. I hope you stop by for tea. 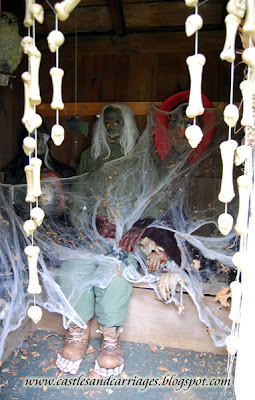 This place is the most genuine Halloween SPOOK-TACULAR place I've ever seen! Those pumpkins! 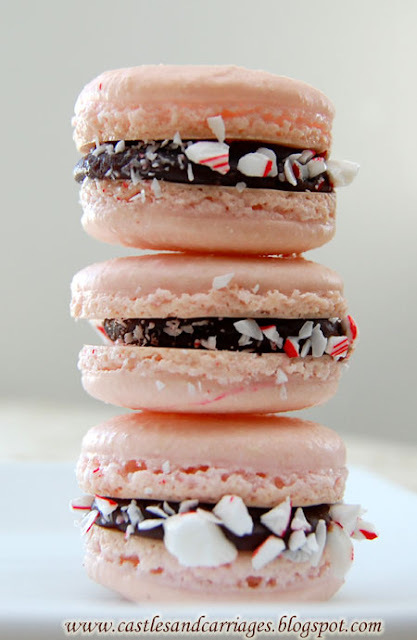 The treats! The forest! I love everything!!!! 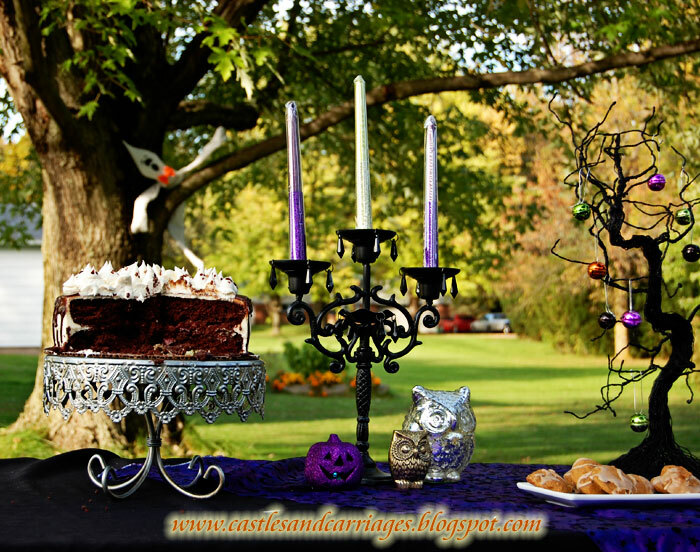 You Have Enchanting Pumpkins, Yummy Treats & Magical PICs. what a great party. Love the decorations. Did you make that monster of a cake? Totally awesome party post!!! The huge... strike that... The mammoth pumpkins are amazing! TY for visiting. I just became your newest follower. And looked at the recipe for the cake. It sounds so good. Also, the Caramel-stuffed cookies you posted today look amazing! On to the to-try list they go...thanks! Okay. What is the Three Aunts Secret for growing such GIMONGOUS pumpkins. I need to learn that spell. They are incredible. That banshee. Whew, I wish I wouldn't have taken that closer look... Scary and thank goodness I made it away from there before it got tooooo dark. All the goodies were positively Delicious. Fun party and great decorations - I want those gigantic pumpkins! Hope you can stop by my enchanted oven for party sweets. Great Halloween visuals! Wow, the size of those Pumpkins in front of that Grand Home!